Holiday marketing campaigns flood into our social media channels as soon as Halloween is over. So many businesses trying to appeal to the general holiday feeling, reminding us that Christmas is around the corner. We start seeing holiday-themed billboards, TV ads, social media campaigns, and emails. And then the music…the christmas caroling in every retail’s replay list. When it comes to social media, many brands do it excessively or the wrong way. Their social media marketing messages generate noise. On the other hand, some brands are killing it with their creativity. How do they do it? Instead of creating more of that “holiday noise,” they know that they should delight their customers. They promote sharing, evoke emotions, reminding that the most important thing to do during the holidays is to be with family and friends. Holidays are an opportune time to get your brand to stand out from the competition and win over the hearts of your customers. And with social media, you can create campaigns of different sizes and shapes. Take a look at some of the best holiday social media marketing messages. When holidays come, we spend time with our family. HotelTonight took this as their selling point and created a plan to help their customers. They made things easy for people who travel to visit their family during holidays, but don’t want to stay with them. Their customers can easily book a room via their website. Social media was their platform of choice. They launched a Facebook contest first. They asked the participants to share their funniest or worst family holiday story in the comments. Next, they invited their Twitter followers to join in by using the hashtag #HotelTonight. To spread their holiday social media marketing messages, they used funny and quirky audio and print ads. Their social media marketing campaign was multi-faceted. Some of us aren’t crazy about certain relatives but don’t want to tell them so and be rude about it. It was the idea and plan they took and executed that message using different formats. Remember the white polar bears drinking Coke? Yes, it was their traditional holiday marketing campaign. Coca-Cola is still on the top when it comes to creating memorable holiday marketing campaigns. The holiday season means that there will be a lot of holiday discounts. That’s why some people get into a shopping frenzy, while others tend to avoid the crowds and stay as far as possible. It is the message Coca-Cola Canada used to brand the whole shopping experience during the holidays. They used a short but effective video to show how we can stay together (even during tense moments) with our favorite beverages. In their video, we see a jacket and two people fighting over it. They find peace by enjoying Coca-Cola together, and the video shared across social media. The Dollar Shave Club created a holiday marketing campaign to promote the gift that other holiday gifts can’t handle – their Holiday Shave Set. It is another example of simple but effective videos that makes everyone chuckle and a format that’s perfect for social media. In the first video, the tie has become an angry snake that feels threatened by their shave set. In their next video, the snowman is on the verge of suicide with a hairdryer because it can’t handle the shave set’s awesomeness. The brand took the idea of the same, cheesy holiday gifts (such as ugly, Christmas-themed sweaters) and showed how their product could help beat the traditional holiday monotony. 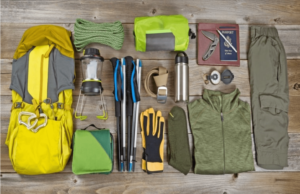 Recreational Equipment Inc sells outdoor clothing and gear, and they support their customers to “go outside and play.” For their holiday social media marketing campaign, they decided to close their distribution centers and retail stores on Black Friday. The company did the opposite of what’s expected from any brand on that particular day. They invited their customers to join their employees on taking a day off both from work and shopping, and go outside to do what they love most. REI managed to hit the bullseye with their #OptOutside campaign and got attention from the National Parks Foundation that used their #FindYourPark hashtag along with REI. Their goal was to motivate people to explore the national parks because they are their nation’s most valuable gems. Outdoor Research was even driven to add a charitable element to the campaign – they promised to donate $10 to Paradox Research (an organization that offers climbing experiences for people with physical disabilities) for every Instagram post that contains both hashtags. One of the most famous clothing and accessory brands dominates Instagram every year with their Christmas marketing campaign. They always manage to amplify it by spreading messages of cheer and joy by evoking the feeling of glee and nostalgia. They begin telling their story at the end of October, setting the festive tone. Barbour keeps re-creating their original snowman cartoon, and touch upon the sentimentality for the past. Why? Because that’s the emotion that always resurfaces around the holidays. It’s #BarbourChristmas, and the brand is doing a great job. Brands stand to win over the hearts and minds of their market by creating content and promoting through social media that – wins over their hearts and minds with stories. It’s an opportunity for brands to create meaningful interactions and connections with their consumers. 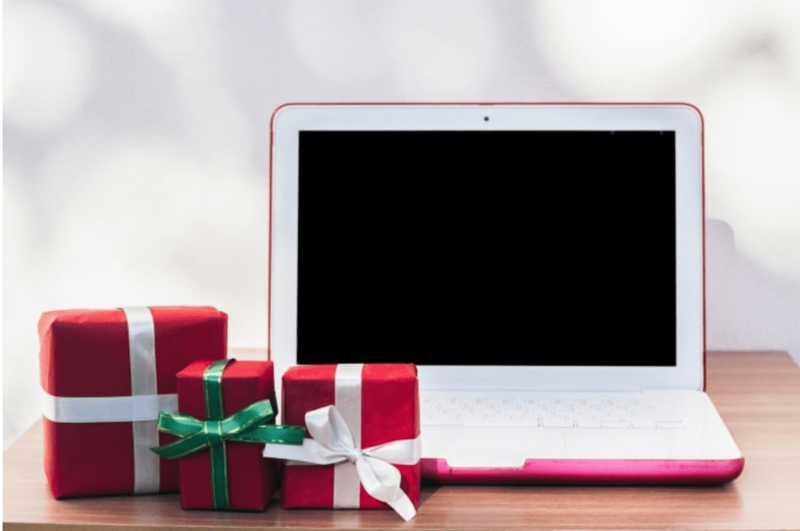 If your holiday social media marketing campaign spreads over different social channels, you’ll need some help when it comes to organizing your marketing efforts. You can also use it for social listening, to find and curate new content, as well as to track, analyze, and optimize your campaign. Thanks to social channels, the holiday marketing race is fiercer than ever. That requires brands to be smart and effective in their holiday social media marketing.